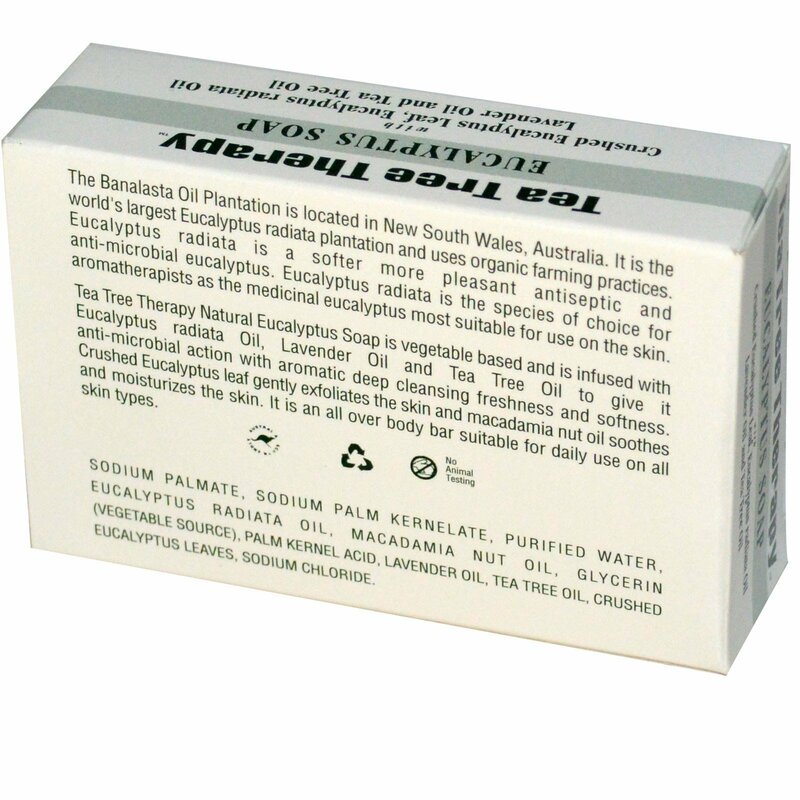 The Banalasta Oil Plantation is located in New South Wales, Australia. It is the world's largest Eucalyptus radiata plantation and uses organic farming practices. Eucalyptus radiata is a softer more pleasant antiseptic and anti-microbial eucalyptus. Eucalyptus radiata is the species of choice for aromatherapists as the medicinal eucalyptus most suitable for use on the skin. 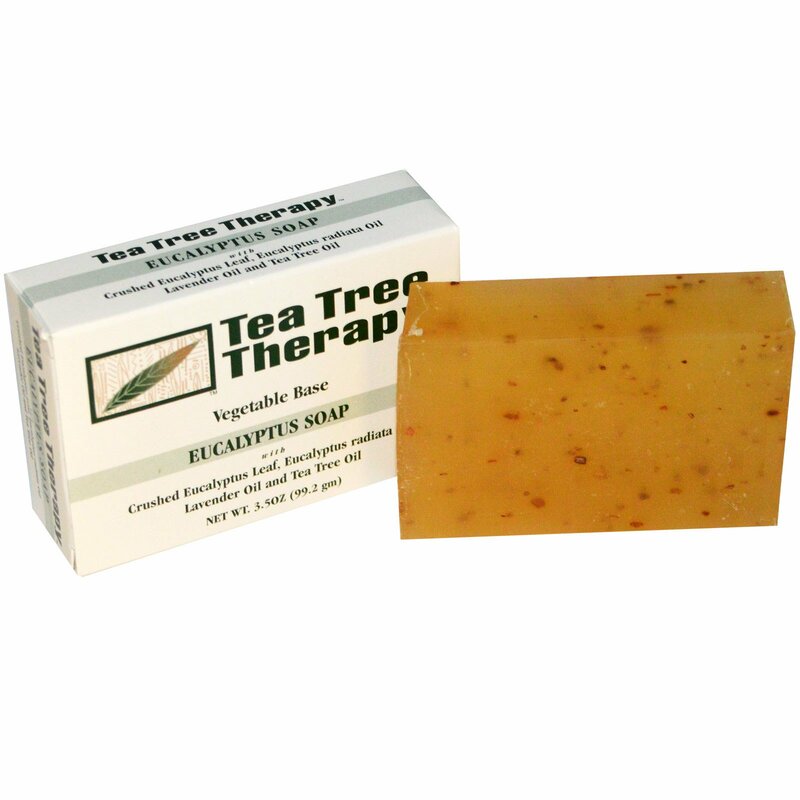 Tea Tree Therapy Natural Eucalyptus Soap is vegetable based and is infused with Eucalyptus radiata Oil, Lavender Oil and Tea Tree Oil to give it anti-microbial action with aromatic deep cleansing freshness and softness. Crushed Eucalyptus leaf gently exfoliates the skin and macadamia nut oil soothes and moisturizes the skin. It is an all over body bar suitable for daily use on all skin types. Sodium palmate, sodium palm kernelate, purified water, eucalyptus radiata oil, macadamia nut oil, glycerin (vegetable source), palm kernel acid, lavender oil, tea tree oil, crushed eucalyptus leaves, sodium chloride.